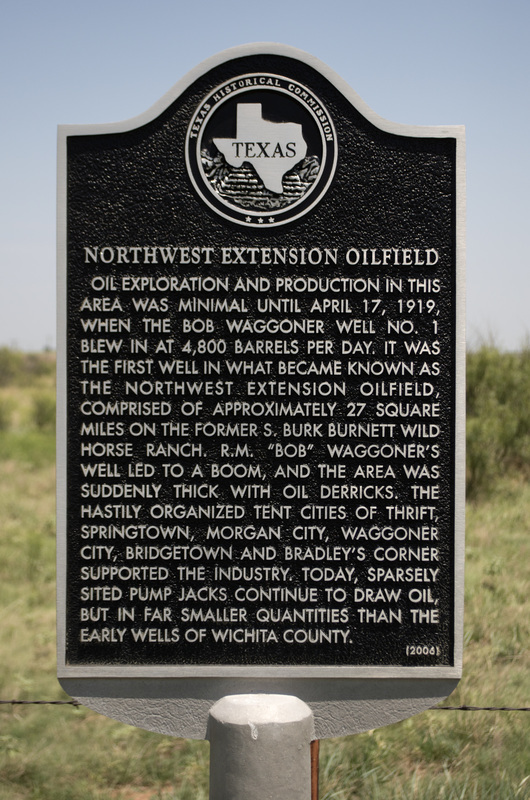 early wells of Wichita County. Located on SH240, west of Burkburnett, Texas. GPS: 34-degrees 05; 46.7" -98-degrees 37' 51.0". 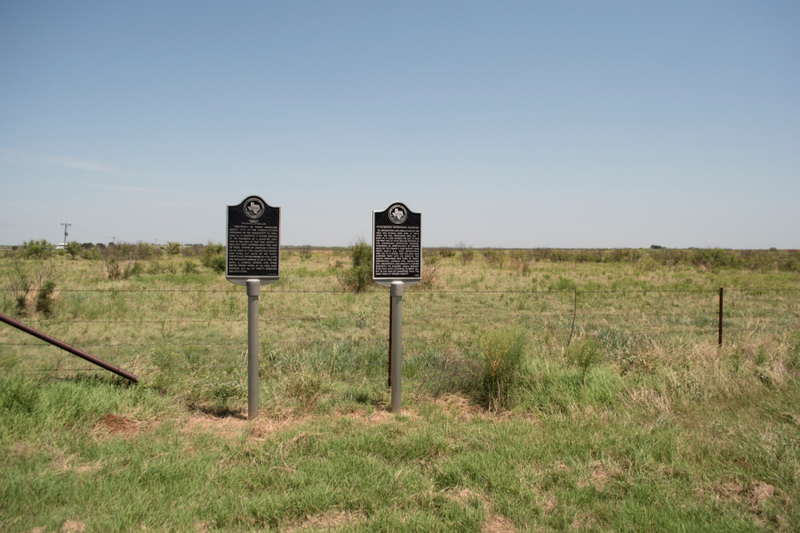 The markers for Thrift and the Northwest Extension Oilfield stand side by side along SH240, west of Burkburnett, Texas.